Let’s be clear: this is entirely the result of trying to wear as many eyeshadow colours as I could in one go, which itself is the result of being away from my makeup stash for far too long. There’s a LOT going on here. 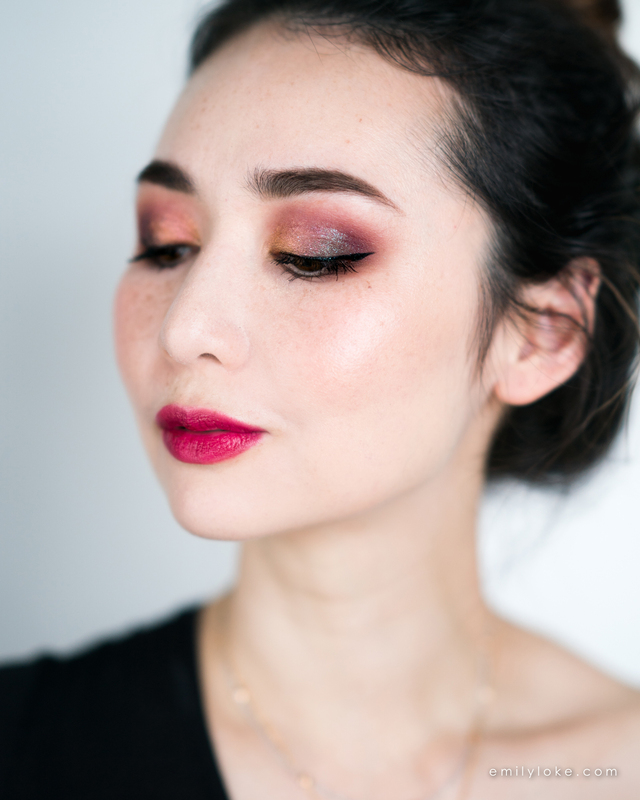 I wish I could say there was some method to my madness, but all I did was raid my vanity for products I’d missed using, blended them into utter murkiness and then tried to “tie them together” with not one but two different duochromes – a satin pink-gold and a glitter teal-burgundy. Black liquid liner was the real MVP though, and gave everything a very finished look. False lashes would have been great too, if I had the patience for that sort of thing (which you know I dont)! 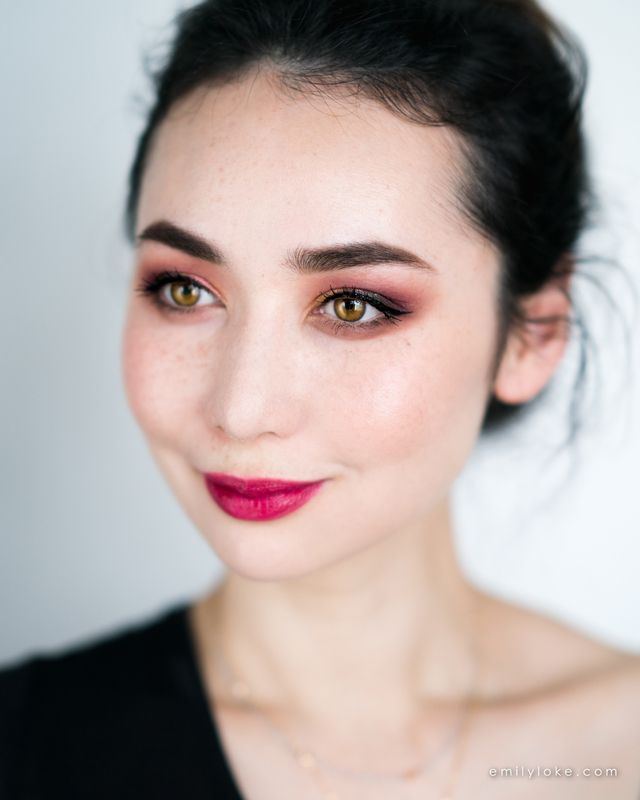 I completed the look with bold brows and a deep fuchsia lipstick, Pillowbook from Cle de Peau Beauté. 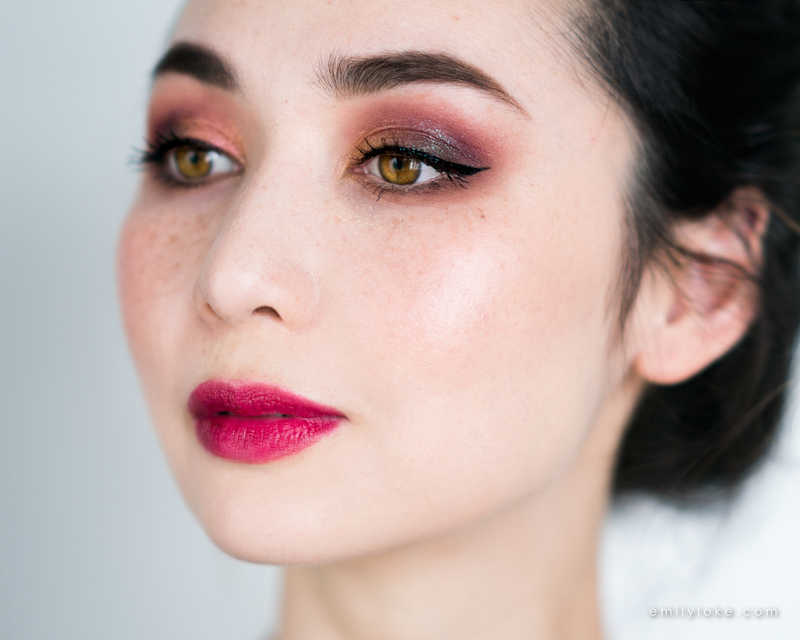 For some reason I have it down in my memory as a burgundy – probably because that’s what it looks like in the tube – so I got a surprise when I applied, but ended up loving its brightening effect on everything. Isn’t it gorgeous? 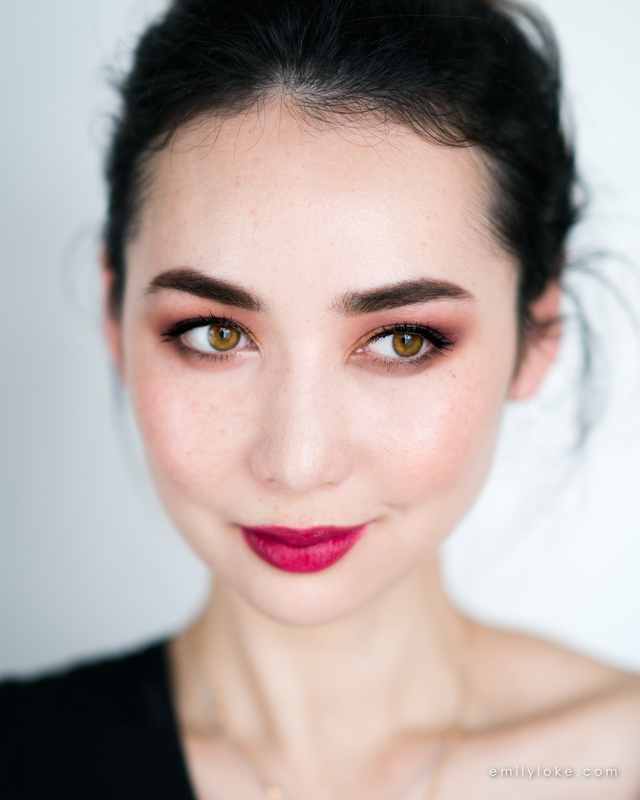 I think it’s the perfect summer/fall transition lipstick, for when you’re dying to wear deeper tones but aren’t quite ready for full-on oxblood yet.